As we step into February, we witness the return of familiar Vancouver weather – cold and rain. So what better way to stay out of the wet and chilly afternoons than relaxing inside Gyoza Bar’s cozy, rustic space, enjoying our Happy Hour specials? 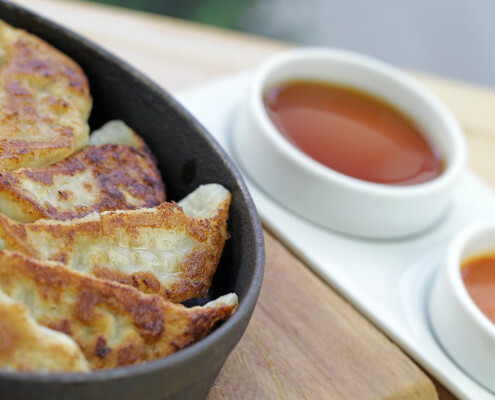 Join us for one of the best happy hours in town, Mondays to Saturdays from 3pm to 6pm, featuring our small plates from $4, drinks from $4.50, and a $10 Beer & Gyoza Special. 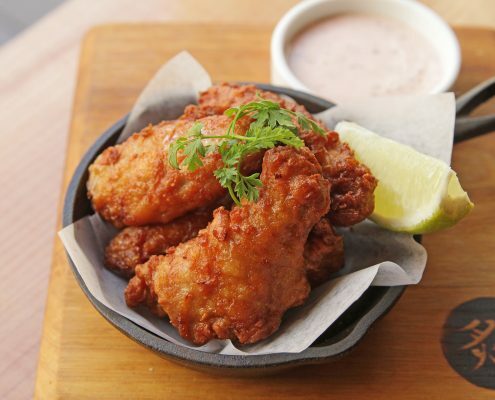 Indulge in our addictive Chicken Wings Karaage topped with a savoury maple soy glaze; cool down with our refreshing Japanese Tomato Salad with a splash of shiso vinaigrette, and don’t forget our crisp, juicy Teppan Gyoza! 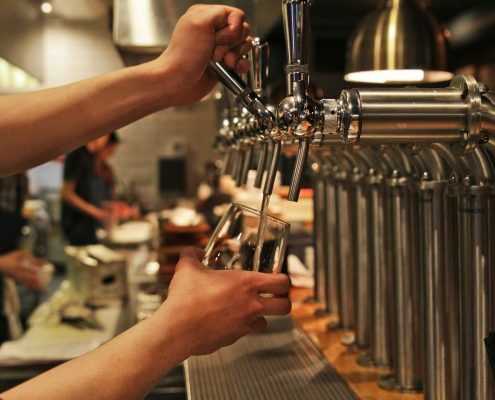 We’re also proud to be featuring rotating draft beer from local breweries. Check out our fully Happy Hour menu here.